Named after the boy who never grew up, the Peter Pan is a modern ferry providing a superb travelling experience to its passengers. 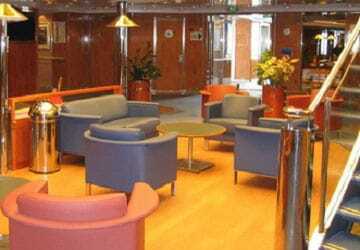 Onboard facilities include a Cinema, Casino, Restaurant, Shop, and a Wellness centre with gym and sauna. Onboard you’ll find around 220 en-suite cabins providing 640 or so beds. Cabin accommodation comes in a choice of 2 or 4 berth, inside and sea view (outside) and are all located above the car decks. Smoking in the cabins is not allowed. 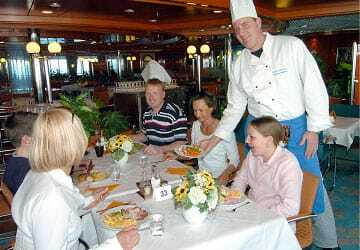 You’ll be well taken care of in the onboard restaurant. Begin your day on board with an attractive breakfast buffet. During the day you’ll be served small snacks and a cooked lunch and in the evening there’s a choice of numerous hot dishes or a highly varied buffet. There is a bar for coffee, cakes, drinks and evening cocktails. 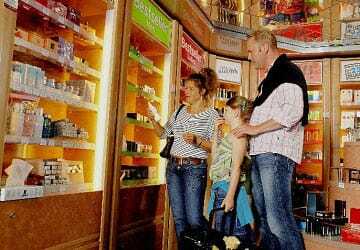 In the Peter Pan 'Sea and Save Bordshop' you’ll find a wide range of cosmetics, spirits, tobacco, fashion, accessories and local Swedish products. There's also a wide range of malt whiskies, numerous local and foreign types of beer, perfumes and cosmetics. The Peter Pan features a free to enter cinema kitted out with the most modern technology and a great choice of films shown in German, Swedish or English. You may also like to try your luck on the slot machines in the gaming room. If you'd like to relax or unwind during your trip then you could head to the a fitness centre where you'll find a whirlpool/jacuzzi and a sauna. Children are well catered for with TT Line. 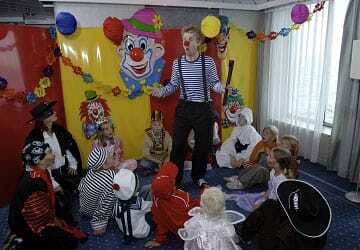 There's onboard entertainment during peak season and a dedicated children’s playroom. Children up to 6 years old eat for free in the restaurant and food on the children’s menu is half price. The Peter Pan is suitable for wheelchair bound passengers and those with reduced mobility. 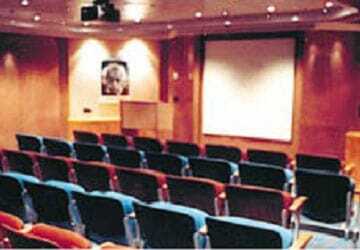 The upper decks are directly accessible from the car deck by wide lifts. Specially adapted cabins are also available. Please Note: Whilst we have taken great care in making our Peter Pan guide as accurate as possible, onboard facilities, services and entertainment may vary depending on the date and time of year that you travel, facilities mentioned may change without notification and ferry companies reserve the right to operate vessels other than those mentioned at time of booking without prior notification. I travelled with my family from Trelleborg to Travemünde and the trip was pretty good and pleasant. Departure and arrival were very punctual. 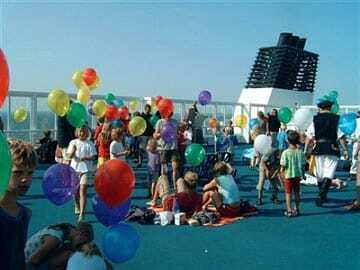 The ship was very friendly to the kids. There were some interesting activities for the children and this thing made the time running quickly and our kid didn't get bored at all. I precisely recommend this trip especially for the families with kids. 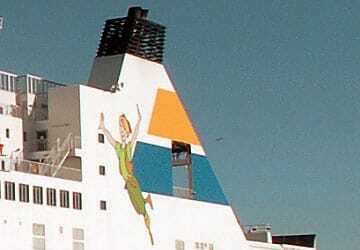 Peter Pan seemed to be an upgrade of her sister ship, well organised and the crew were efficient. It was the first time that we took the ferry, and I really did not know what to expect. It was fun, and made me get a sense of what it would be like on cruise ship, because I certainly had not expected that the crossing would be as comfortable. It is pleasant to explore the ship, the cabins are very clean, and there are even towels in the toilet, something I certainly did not expect. The ship has a nice shop and the catering was fine. I'm so sorry that I didn't travel on this ship for the outward journey, but my next trip to Norway will made be through this route. Booking our trip was a piece of cake. It was our first time and the anxiety proved to have been for nothing. 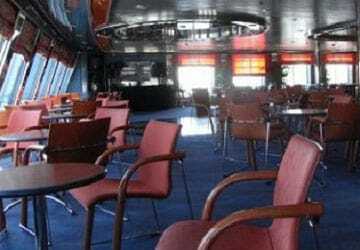 The crossing was literally a mini-cruise and we only kept good memories. For us it was the start of a wonderful journey to the North Cape. Next time we decide to travel, we will book with Directferries again. Josée and Leon. 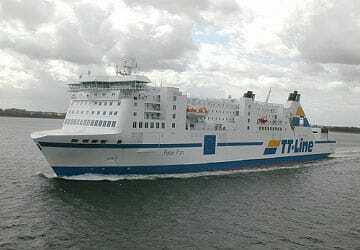 Big and clean ferry with children's play room for the youngest children. If you have older children it can be a bit boring at times since there's not a lot of activities. I don't think this ferry sails on this route normally. The shop onboard was quite expensive. To shop before the trip is recommended. everything has wonderful fit, punctual departure and arrival, clean and comfortable cabins, good food. Crossing due to good weather relaxing on the sun deck. The children (8 and 10) really liked the childcare. Enough to take drink, drinks on the ferry are expensive in the shop. "Recovery on the way "
Super decision to take to Sweden the long ferry from Travemünde to Trelleborg and Back: On the way Peter Pan (during the day) with a great children's program, on the return trip Nils Holgersson without children-program (low season), but with enough to do on the ship, the our children (5 and 7 years), the time could be short. Again at any time!